This is an IHRSA featured article, brought to you by Club Automation. Artificial intelligence-assisted CRM may become your gym’s best sales tool—and sooner than you’d think. Artificial intelligence (AI) once was associated with apocalyptic science fiction, from the rogue android “replicants” of Blade Runner to the doomsday scenarios of The Matrix. But today’s tech-driven world has brought a more benign and useful type of AI into our lives. Just ask Alexa. Not only have consumers become more comfortable with using AI, they now prefer it in many situations—just as people have come to favor texting over making voice calls. Human interaction has been transformed at all levels by mobile technology, and it’s led to a revolution in AI-assisted CRM software. Pressing “zero” for an operator just doesn’t cut it anymore. Consumers want an immediate response, and they want it on mobile technology. And that includes health club customers. In an industry that relies so much on human connections and personal growth, using AI-assisted CRM tools in your health club may seem counterintuitive. But consumer expectations for customer service are changing rapidly and that’s true for Baby Boomers as well as members of Generation Z.
Carrie Kepple, owner and managing director of Styles Studios and an IHRSA board member, has seen how technology can transform customer service. She pushed for more automation at Les Mills despite the objections of more experienced executives. But she knew that today’s consumer wants a more streamlined process accessible by mobile technology. According to data from research firm Gartner, 85% of all customer interactions will be handled without a human agent by 2020. AI CRM is here to stay. But it’s what AI can do for your sales efforts that can have the biggest impact on your revenue. 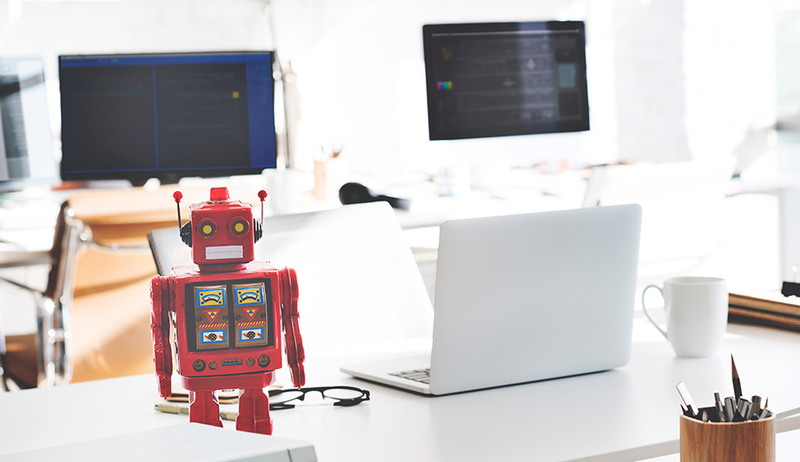 Today’s AI-assisted CRM software has many advantages that can help increase membership and improve operational efficiencies. Here are just five ways AI can help your sales results. To do the work of a highly sophisticated AI system, you’d need an entire staff of salespeople. Not only does an AI sales assistant do the work of many, it only has to be trained once, and it learns as it goes along. AI is always on and always gaining knowledge. It’s the ultimate 24/7 employee. 3. Integration and improvement of other club services. Instead of having some operations siloed away from sales, an AI system can utilize data from other resources and do it quickly. Used wisely, an AI sales assistant can sell much more than memberships. It can sell personal trainer packages and increase other non-dues revenue streams. Research shows that 91% of consumers are more likely to shop with brands that remember them and provide relevant recommendations using AI. When a human salesperson answers a call, they’re starting cold. It takes a while to learn who they’re talking to and what they’re interested in. According to the TAS Group, “Only 46% of reps feel their sales pipeline is accurate, and 40% of all salespeople can’t understand the problems of their customers.” AI collects and interprets data on prospects almost instantly. 5. AI lives on messaging apps. According to Business Insider Intelligence, the number of consumers using messaging apps overtook social networks in 2015. In fact, Facebook Messenger alone has more than 34,000 chatbots. This is where AI is extremely strong in reaching customers. If you don’t have a sales plan for messaging apps, you may want to consider it. So how does your everyday health club owner get acquainted with the brave new world of AI? Digital firms specializing in AI-assisted CRM have found their way into many industries, but the one that’s making inroads in the health and wellness markets is Club Automation. 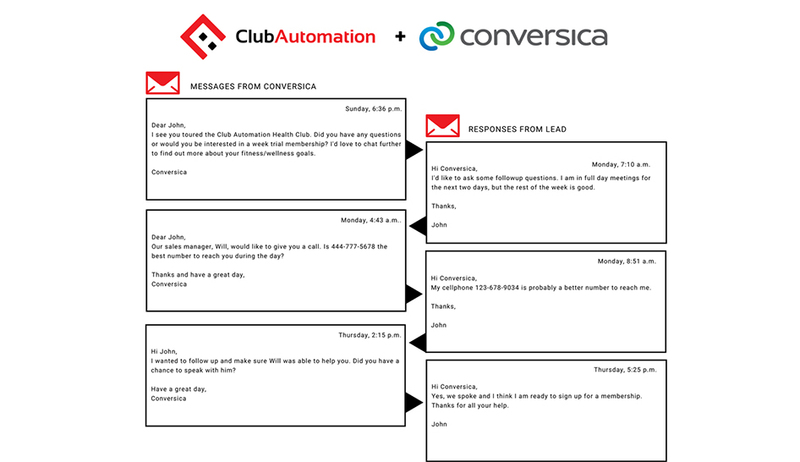 Founded by a health club owner, Club Automation utilizes Conversica to power its AI-assisted CRM. Conversica is a sales assistant software designed to automate and enhance sales operations by identifying and conversing with internet leads. The software is equipped with the capability of using multiple conversations to increase engagement by an average of 35%. One car dealership that used Conversica had an average 60-sale increase per month. Club Automation offers full-service club management software, including front desk management, accounting, online services, scheduling, member engagement, and reporting. Because they understand the industry, they’ve been able to help customize their AI system to better serve club owners. Even if you like more human sales interaction at key times, you can use Conversica to engage with a lead then have it alert a human salesperson when the lead gets hot. The AI algorithm is designed to re-engage old leads and follow-up with suitable targets in a way that’s proven to get the best results. It does the heavy lifting and takes the guesswork out of prospecting leads. To learn about Conversica as well as other products and services from Club Automation, visit their website or email them for more information. Discover how clubs are successfully leveraging wearable technology to augment the member experience. A strong onboarding strategy leads to strong member and staff retention down the line. This webinar will teach you how technology can help. Sponsored by Perfect Gym.